Will the Philippines ever succeed in breaking the Telco duopoly? There is hope, kinda. Several days ago, consumer watchdog Infrawatch PH pointed out that the provisional third Philippine Telecommunications provider’s franchise is deemed revoked after the latter allegedly failed to list its stocks in the Philippine Stock Exchange [Star]. Mindanao Islamic Telephone Company Inc (Mislatel), which received its 25-year franchise in 1998 via Republic Act 8627 [CorpusJuris], is required to public offer 30% of its stocks through the Philippine Stock Exchange (PSE) lest its franchise be deemed revoked. WOOPS! "QUALIFYING" 3RD TELCO PLAYER'S LICENSE ALREADY REVOKED PRIOR TO AWARD? More than a headache for the Mislatel Consortium, this is a source of much consternation among the Filipino Public desperately in need of better telco services. Thus, in this article, let me attempt to explain the situation so that the reader may gain a better idea of what to expect with respect to the future of Philippine Telecommunications. "[Mislatel] shall offer at least... 30%... of its... stock... in any securities exchange in the Philippines within... 5... years from the commencement of its operations. Noncompliance... render(s) the franchise ipso facto revoked." If the allegations that Mislatel may have indeed failed to list its stocks in the PSE, then it appears that the telco’s franchise is indeed revoked. "...the NTC published a list of... existing... franchises... (and) Mislatel... was included... In addition, the NTC has accepted the validity of the Mislatel franchise when it vetted Mislatel’s documents..."
Chelsea is part of the provisional third telco consortium, along with China Telecom and Mislatel parent company Udenna Corporation. The companies comprising the Mislatel Consortium. 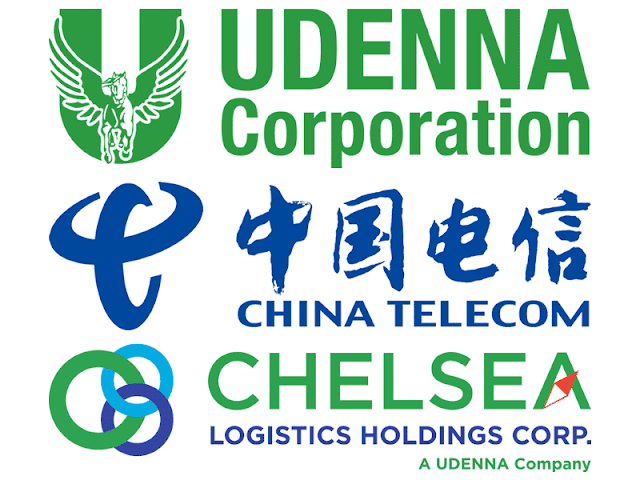 Udenna is Mislatel's parent company. Clearly, Mislatel's franchise requires the it to offer 30% of its stocks to the public via a listing in any local stock exchange. Since the PSE is the only local stock exchange, then those stocks must be listed in the PSE. Allegations of Mislatel’s failure to enlist in PSE surfaced after NTC declared it as the provisional third telco. If true, this may imply that Mislatel’s franchise – the right to operate – is deemed revoked, preventing it from becoming the country’s third telco provider. that NTC vetted Mislatel's franchise and it was found valid. Mislatel basically claimed in the statement that its franchise is valid because the NTC said so, but is that really how it works? This issue is quite similar to the Trillanes Amnesty Case. The amnesty document, however, is insufficient to debunk the allegations against Trillanes, as Trillanes even submitted to submit copies of his amnesty application, along with an affidavit of admission. Trillanes even submitted additional evidence to support his claim [ABS]. Using the same argument, Mislatel cannot simply invoke NTC’s approval of its application. Instead, it must directly answer the allegations that it never went public in accordance with its franchise terms. In short, Mislatel could have simply said, “Hey, we did offer 30% of our stocks so you’re wrong,” and we would have gotten this whole thing over with. But Mislatel, so far, hasn’t done anything to that effect, as it uses the Trillanes Strategy to address the issue. Did Mislatel attempt go public with 30% of its stocks as required in its franchise terms, yes or no? The central point of contention is whether Mislatel publicly offered, or at least intended to offer, 30% of its stocks through the PSE as required in the franchise terms. The telco has so far been mum about this. If Mislatel indeed failed to publicly offer 30% of its stocks, then the debate is over: Mislatel’s license is deemed revoked, thereby disqualify the telco from participating in the industry entirely. Hence, let’s assume, for the sake of argument, that it actually did publicly offer stocks. I would like to direct the reader’s attention to the fact that Chelsea [PSE], and NOT Mislatel, issued the clarificatory statement in the PSE website, the same statement that was widely used in various news reports from major media outlets. The clarificatory statement, submitted to the PSE and SEC, is meant to assuage Chelsea’s stockholders, who may be worried about the allegations against its partner Mislatel.But then, if 30% of Mislatel’s stocks are publicly held, then why does it appear that Mislatel didn’t bother to assuage its public stockholders? Why didn’t Mislatel submit to the PSE and SEC a clarificatory statement similar to Chelsea’s? Now, some camps may raise the possibility that Mislatel may just be late in filing the statement, but it has to be pointed out that Mislatel, its parent company Udenna, and Chelsea are either controlled or fully owned by a single person: the Davao-based business tycoon Dennis Uy. That is, if Chelsea can quickly whip up a statement, I think it’s reasonable to expect the same speed on Mislatel’s part. Moreover, it can also be reasonably expected that Mislatel, a supposedly publicly traded company, can have that statement published on the PSE website. But neither happened. Thus, surrounding facts suggest that Mislatel is indeed not listed in the Philippine Stock Exchange, thus failing to comply with a requirement in its telco franchise terms. I managed to get a copy of Mislatel’s 2015 General Information Sheet (GIS), the SEC filing that describes the company’s ownership structure. But before we go through that, let me explain what exactly we’ll be looking for in the GIS. Commence operations within three (3) years from the effectivity of this Act. Thus, assuming that Mislatel’s franchise is still valid and active to this day and given that the franchise was granted in 1998, then it must have commenced operations no later than 2001. Now, Section 16 of the same Act requires Mislatel to go public with 30% of its stocks within five years from the commencement of its operations, so that Mislatel should have done so no later than 5 years after 2001, i.e. 2006. Let me state this clearly: if Mislatel’s franchise is valid and active in 2018, then it must have gone public with 30% of its shares no later than 2006. A photo of the relevant page in the GIS is shown below. Thus, Mislatel HAS NOT GONE PUBLIC as of 2015, which is almost a decade past the deadline. In short, judging by the Mislatel’s franchise terms, Mislatel’s license to operate is deemed revoked. DEFENSES: IS MISLATEL’S FRANCHISE REALLY DEEMED REVOKED? Well, that’s a bit tricky. I have consulted several lawyer-friends who are well-versed in corporate law and they told me that at first glance, Mislatel’s apparent failure to go public may have indeed resulted in the revocation of its franchise. They said, however, that Mislatel may have several possible ways to get out of this PR and legal mess. The franchise terms used the term “shall offer”, meaning that it requires Mislatel to publicly offer stocks but not necessarily succeed in selling them. If Mislatel indeed publicly offered its stocks within the required timeframe but there were no takers, then Mislatel may still be deemed compliant with the franchise terms. In short, Mislatel can argue Substantial Compliance, defined as compliance with the substantial or essential requirements of a statute that satisfies its purpose or objective even though its formal requirements are not complied with [FindLaw]. In this respect, we must verify if Mislatel continuously attempted to offer its stocks and there have always been zero buyers. If Mislatel manages to do that then it’s all ok. Otherwise, this alibi won’t fly. Listing a new company’s stocks in the Philippine Stock Exchange is fraught with myriad challenges, so many that it’s possible that PSE rejected Mislatel’s attempt to list its stocks in the bourse. This can happen if, among other reasons, PSE deemed Mislatel stocks to be not valuable enough, making trading of its stocks a waste of time and resources. Thus, Mislatel may be deemed compliant with franchise terms if Mislatel spent a reasonable amount of effort to list its stocks but the PSE refused to cooperate. That is, if Mislatel did everything in its power to comply but the PSE didn’t budge, then Mislatel can argue in the courts that it can still be deemed compliant. Mislatel can again argue Substantial Compliance. The first two potential defenses described above apply to arguing the validity of Mislatel’s franchise. This third one, on the other hand, appeals to the more practical side of things. Possession is nine-tenths of the law, or so the saying goes. The fact of the matter is that the NTC has declared Mislatel as the provisional third telco and this declaration enjoys the presumption of regularity. 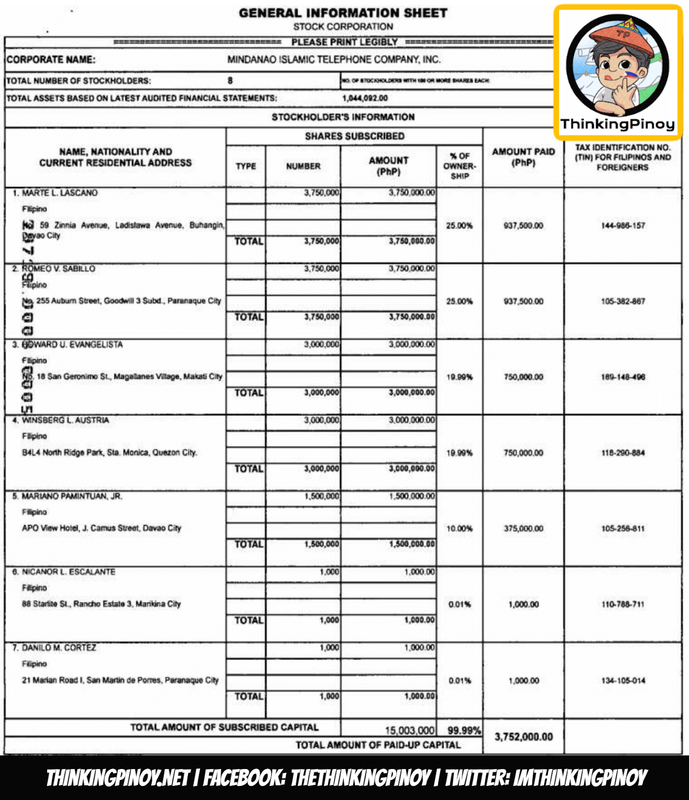 Infrawatch PH, the NGO that raised the franchise issue, can sue Mislatel in an attempt to freeze the bidding process. However, my lawyer-friends and I have doubts on whether the NGO has the legal personality to challenge the NTC decision, especially since Infrawatch is not among the losing bidders. More likely than not, this information will instead be used by the losing bidder, and it appears to be the case. However, while Velarde’s NOW Telecom [GMA] and Singson’s Sear Telecom [ABS] are hell bent on challenging the legality of NTC’s decision, NTC and Mislatel can still choose to proceed with everything. 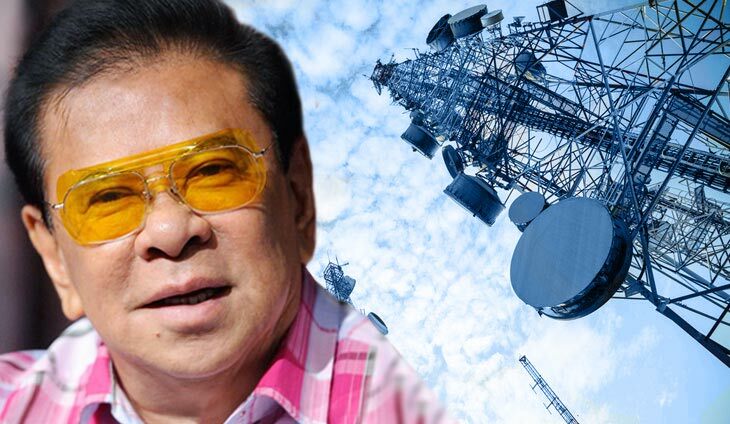 Former Ilocos Sur Governor Chavit Singson owns Sear Telecom, one of the aspiring third telco players. 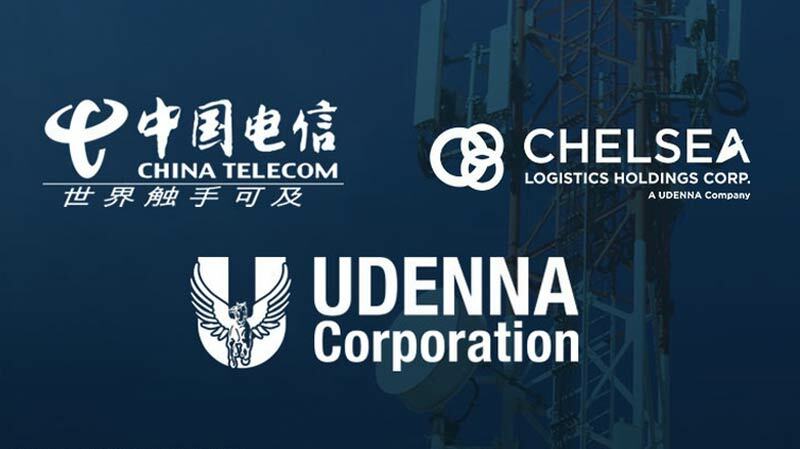 That means NTC and Mislatel can perform the remaining steps to complete the regulatory processes, then the Mislatel Consortium starts operating and providing telco services, all while NOW and Sear are fighting it out in courts. Of course, we cannot discount the possibility that NOW or Sear may be able to secure a timely Temporary Restraining Order or Preliminary Injunction from the courts and I have reason to believe they will get it, as the 2015 Mislatel GIS is prima facie evidence that Mislatel failed to go public. But there’s the option to post a counter-bond. However, considering that this is just a civil case, Mislatel can simply use Rule 58 Section 6 of the Rules of Court [LawPhil], which allows it to post a counter-bond to dissolve the TRO and Injunction. Suppose NOW or Sear sues Mislatel and the courts grant a TRO against Mislatel, preventing Mislatel from commencing operations, after NOW or Sear argued that enforcing the NTC decision will cause the complainant significant financial damages. Mislatel can then ask the courts if it can just post a counter-bond conditioned that Mislatel will pay NOW or Sear if Mislatel loses the civil case. The courts will set the counter-bond’s amount. Of course, we are talking about astronomical amounts here, so it all boils down to the question of whether Mislatel, i.e. 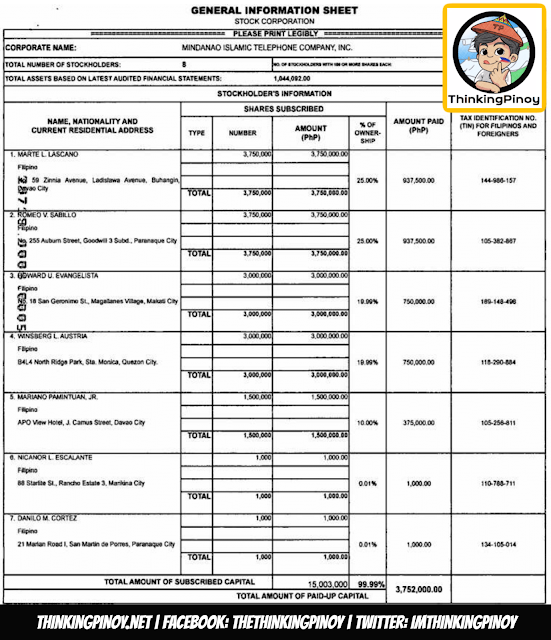 Davao tycoon Dennis Uy, is wealthy enough to take the hit, and I am pretty confident that he is. With a counter-bond posted and assuming that all NTC-related processes have been completed, Mislatel can start operating and providing telco services to the public while the civil case is still pending in the courts. If Mislatel wins the civil case years later, then business as usual. If Mislatel loses the case, it loses the amount posted as a counter-bond but it can still argue that the company is providing substantial benefit to the public so the courts should still allow it to operate. Imagine this: we currently have a Smart-Globe telco duopoly. If the courts decide years from now against Mislatel and forces the latter to stop operating, the Smart-Globe-Mislatel triopoly reverts to a duopoly as it will take considerable time, possibly years, for Mislatel’s replacement to commence operations, and that can be argued as severely detrimental to Public Interest. In short, provisional third telco Mislatel may (emphasis on "may") still continue to operate regardless of the outcome of a civil case. That is, if Dennis Uy is willing and able to shoulder the astronomical expenses associated with it. 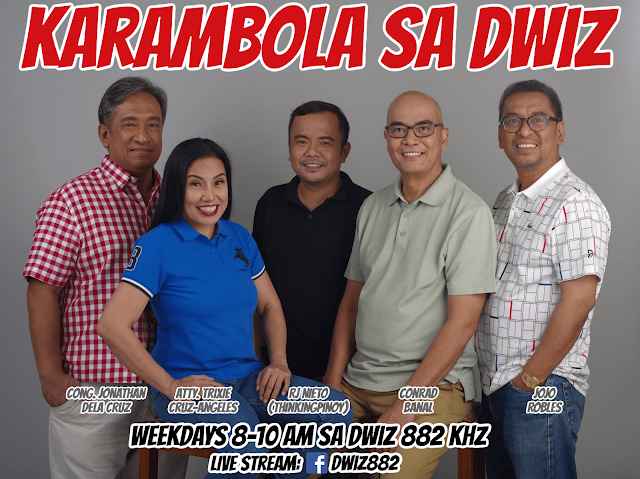 NOTE: My co-hosts and I will discuss this issue even further in the radio show Karambola sa DWIZ on Monday, 12 November 2018. You can listen to it on DWIZ 882 AM, or watch our live feed on Facebook, and YouTube.